So many kids have been struggling with school! For some it's the bullying, the pressure to perform, the over-emphasis on testing, the sleep deprivation – the list is really growing all the time. And they're miserable there. They're bored and stressed and they think they simply have to accept this as a fact of life – like death and taxes. The parents are worn out too. They've tried to make it work. They've spent years fighting with their kids to help them fit into what the school wanted. Their homelife has become a battleground. They can remember when their teens were young and enthusiastic about learning. What happened??? Where did that little guy go? As parents, we worry about so many things! We just want him to be successful! So we side with the schools – against our own child – and try to help him push through. Most parents have had the slogan Stay in School drummed into our heads for decades. We've been convinced that school is the only ticket to success. Wouldn't it be nice to have a great relationship with your kid? 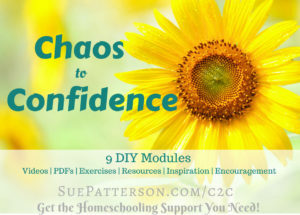 Wouldn't you like to help them figure out how to transition into adulthood smoothly? What if this choice to unschool didn't close doors or prevent opportunities? We can get off this crazy merry-go-round and create a different life for our teenagers. We can stop with all the rhetoric that we've been fed about how kids need to be pushed and how they need structure and that this parent/teen power struggle is inevitable. I know. You're worried that this decision to unschool could ruin their opportunities for success in life. It won't. They're going to have successes and failures in life no matter what. But choosing to unschool gives the kids a chance to really get to know themselves better – what do they like? How do they learn best? What are their preferences? When they know themselves better they are more competent in charting their own course in life. Imagine how much better that is to do while you're still at home with that parental safety net! How many of us didn't really start to figure out what we wanted from life until we were nearly in our 30s... or beyond? 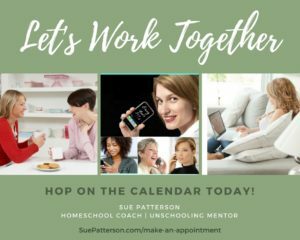 Maybe you still have a very schoolish mindset and you're worried that unschooling will put some kind of stigma on your teen. Maybe you're worried that they won't get into college or no one will hire them or they won't learn to get up early in the morning to get to a job! Or maybe you're afraid that you don't know enough about algebra, world history, chemistry, etc., so how will they learn those things? So let's address some of these fears. Teens often bypass the SAT/ACT tests because after accumulating a certain number of community college courses, they can simply apply to universities as a transfer student. Their community college transcript demonstrates that they're fully prepared. Let's be realistic. Every child does not need every subject at the same time, in the same depth, as every other child. What happened to the value of an individualized approach? As adults, some of us use topics/subjects more than others in our day-to-day life. Some of those subjects never come up again for us once we left the school settings. So why force feed it all to them? How much do we really think they'll remember anyway? Schools operate as if they have to cram everything in before graduation. I guess that's a framework they've set up and have to work within. But learning does not stop at age 18. We are fully capable of googling when the Battle of Hastings happened should we need that tidbit of knowledge when we're 28 or 48 or 68! Most of us have started YouTubing everything now anyway. Our kids will do that too whenever they want to know something. Unschooling allows kids to explore the world around them. And truth be told, most of those subjects are all around us all the time. No, it's not all neatly partitioned off like it is in school. Real life weaves all kinds of topics in and out. Don't we want to prepare our kids for real life? And when you do this, something wonderful happens. Your teen sees that they matter to you more than school matters to you. They get to feel what it's like to be prioritized by their parents. Feeling like someone is actually listening to them makes so much of a difference in the relationship. Isn't that what all of us want anyway – to be heard? 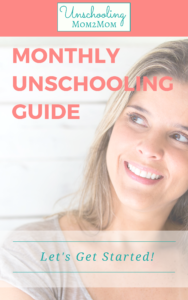 Unschooled teens are growing up and living successful lives – withoutall the baggage that comes with a childhood filled with school. We have all kinds of examples of young adults – grown unschoolers – who are getting into college, pursuing careers they actually enjoy, traveling, starting families. All it takes is for parents to overcome their fears and create new partnerships with their teenagers. It's so do-able! Let this be the year that your family makes the changes you've been wishing for! 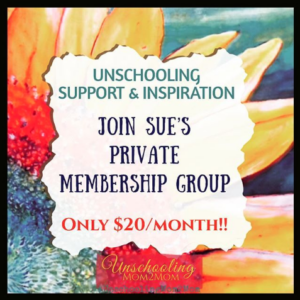 Sue Patterson offers a private coaching group for parents of unschooling teenagers. At only about $5/week, it's a bargain! What about pulling older kids out of school? What if they are in high school as a sophomore, junior, or senior? At 17 years old in my state a high school student can legally withdrawal from school but then their record shows “dropped out” or “withdrawn”. I understand the benefits of unschooling but will pulling older kids out of high school rather than letting them finish hurt them? Is it necessary to do every subject ? My daughter wants to do all of them so she can graduate, but I feel like she doesn’t need them all. She is 16 and did a little bit of 9th grade but felt the books to be to much. 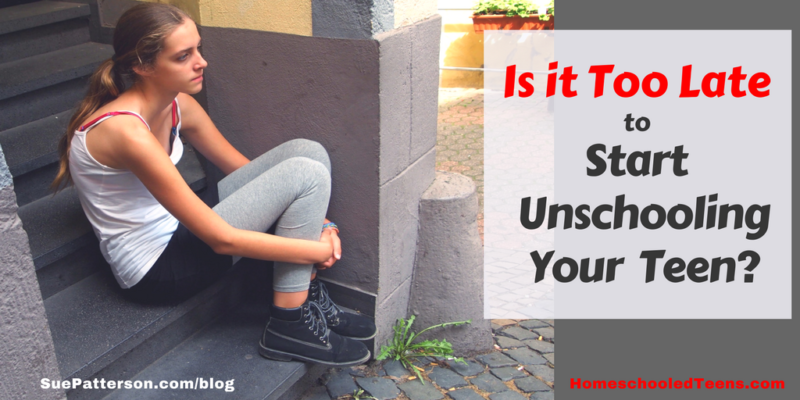 How do you graduate an unschooler? – Connect with the local unschoolers to see about legal requirements regarding graduation. – Help her fill her day with things that interest her – very similar to how she would do for herself as a young adult. What does she enjoy doing? – Talk with her about what she really needs as far as becoming an independent adult. Less about what school says, and more about what you and she know about her and her personality. 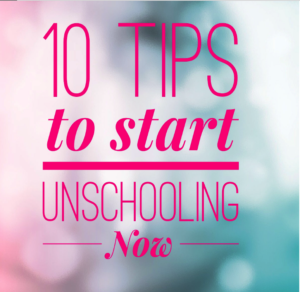 Hi my name is Daphny I am 16 and and would like to do un-schooling but i dont know how to set that up what steps should i take to become an unschooler? It’s going to be different in every state, from a legal standpoint. But it’s doable! Have you talked with your parents yet? There’s a great book for you to read – The Teenage Liberation Handbook by Grace Llewellyn. It’s written in a way that half of it is for the parent and the other half is for the teen. Start there. It’s an older book, so it should be at the library.